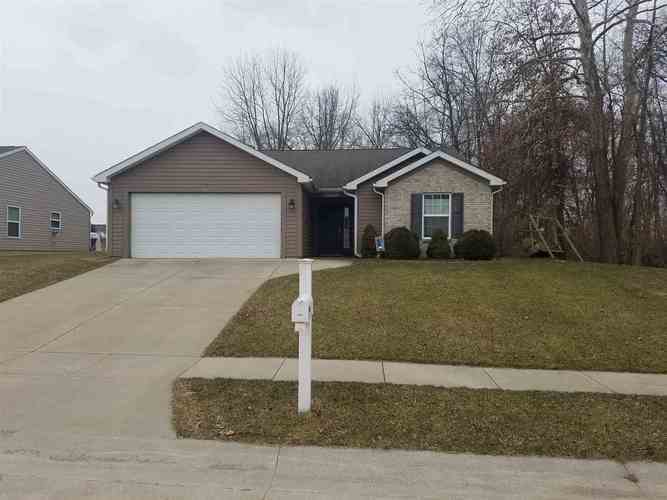 ADORABLE SINGLE FAMILY 3 BEDROOM, 2 BATH RANCH. OPEN FLOOR PLAN WITH FULLY FENCED BACKYARD. STAINLESS STEEL APPLIANCES AND WASHER/DRYER. WILL NOT LAST LONG, THIS IS A MUST SEE! Directions:TAKE POLAND HILL RD AND S 100 TO HARRINGTON DR. TURN R ONTO HARRINGTON DR. HOUSE IS ON THE LEFT.